Welcome to Brookside Livonia Michigan web-page written by real estate agent Bob Jakowinicz. 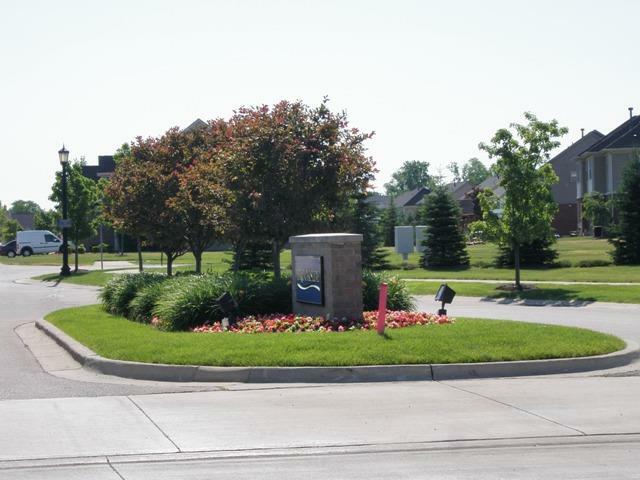 The purpose of this page is to give you an idea of what this subdivision and City of Livonia has to offer. 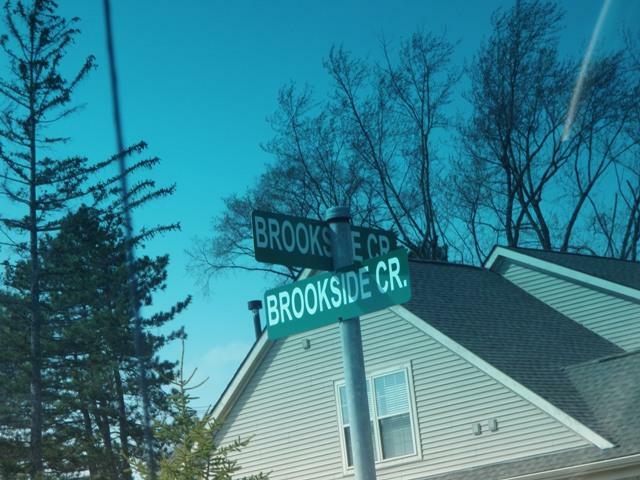 As you can see by the picture Brookside is a very well maintained beautiful place to call home. The picture is of the entrance to the sub you will see as you enter off of Farmington Rd. 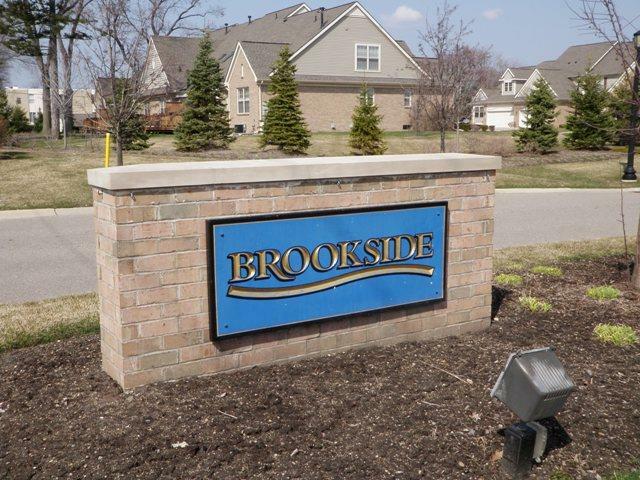 Brookside is located just east of Farmington and between 7 and 8 Mile Rd in northern Livonia Michigan. Many of the local residents have expressed to me that they love the convenience of where they live with the reduced street traffic due to this picture being the only way in and out of the area. I also noticed today while taking a few pictures of the area a few sports items left out near the street in some of the residents driveways. This really told me there may be reduced street traffic as the kids are playing hockey, basketball and other games in and around the street area's (not that I'm saying this is safe). If you or anyone you know is looking to buy or sell real estate in Livonia Michigan please feel free to email us anytime at BOBANDTEENA@YAHOO.COM. We would love the opportunity to assist you with your next real estate transaction. Let's take a quick tour of the sub. From the moment you enter you will notice how well kept everything is from the homes and yards to everything in between. This executive style area has approximately 104 detached homes and attached homes located within it. The local school district for the area is LIVONIA PUBLIC SCHOOLS with LIVONIA STEVENSON as the featured high school. You will find that there is no hardship for conveniences at this location. From Brookside sub you can be on a local expressway in just about 5 minutes and to Downtown Detroit in about 25 minutes. If shopping is what you crave you are in luck! Laurel Park Place Mall, Twelve Oaks Mall and Downtown Farmington are all just a short drive away. There are also a couple of local hospitals not to far away as well which are Botsford and St Mary Mercy. Livonia is loaded with great local parks which offer tennis courts, walking trails, ball diamonds, play equipment and much more. There are two of these parks close to Brookside Sub-- these are Rotary Park and Bicentennial Park. Thank You for stopping by and checking out our local area's of Brookside and Livonia Michigan. If you have any real estate related questions or concerns please feel free to contact us at 734-578-6561.